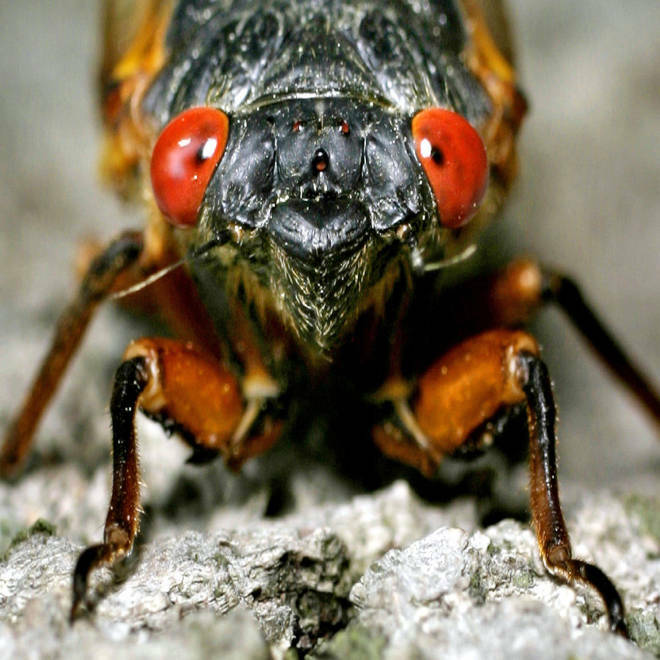 The first of the Brood II cicadas, which only mature every 17 years, are being spotted in some southern states including Virginia. NBC's Brian Williams reports. There's been a groundswell of 17-year cicadas in Virginia and other southern states, as revealed by a fresh wave of photos and eyewitness reports. In some areas, the outbreak has been accompanied by the insects' loud chorus call. And that's music to the ears of University of Connecticut entomologist John Cooley. "That's where I'm heading," Cooley told NBC News. The weather is still too cool in New England and the New York City area for a full-blown Brood II emergence, so Cooley is planning a field trip to watch the insects rise up in Virginia. 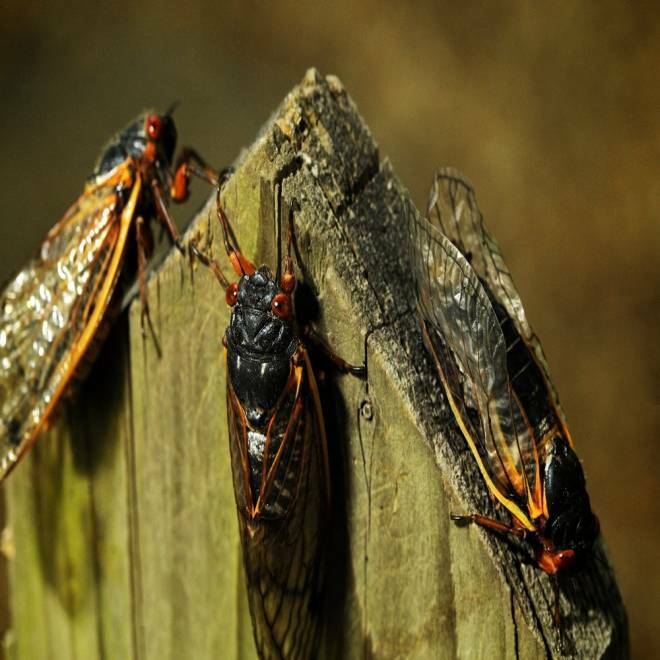 This is the big year for Brood II cicadas, which are expected to emerge from the ground in the billions over an area of the East Coast ranging from North Carolina up to Connecticut. The bugs are hard-wired to spend 17 years underground, feeding on the fluid from plant roots, and then pop up during the appointed spring when the soil temperature reaches 64 degrees Fahrenheit (18 degrees Celsius). For weeks, bug-watchers have been posting their sightings (and soil temperature readings) to websites such as Cooley's Magicicada.org and RadioLab's Cicada Tracker. Another website maintained by the Sutron weather information network tracks the soil temperature in Washington, D.C. Although the cicadas have been patiently waiting for 17 years, some cicada-watchers up north are getting impatient with the pace of the emergence. Cooley said the relatively slow pace may be due to this spring's cool temperatures. In order to bring the soil up to 64 degrees F, air temperatures have to get significantly higher than that on a consistent basis. "I want 80s and 90s," he said, "and so do the cicadas." Brood II cicadas emerge in the Leavells Crossing neighborhood in Spotsylvania, Va., on May 16. Cicadas throng near a house in Fredericksburg, Va.
A cat looks through a screen door as cicadas swarm outside a house in Fredericksburg, Va.
Take a closer look at the curious 17-year life of the flying bug as the East Coast prepares for an invasion.